I have two slipcovered sofa beds in our Beach House (as seen below) that I love but they were discontinued by IKEA a few years ago. Pottery Barn had a great sofabed but it’s really expensive. So I quickly came to the decision that we needed a daybed instead of a sofabed. So I started searching for daybeds and here are some of the ones I liked. 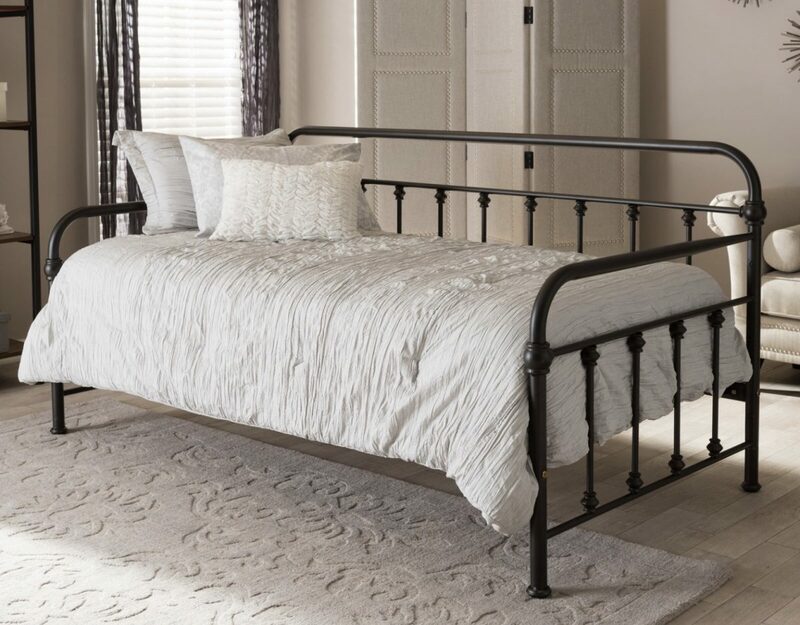 This is the Baxton Studio Elsie Vintage Industrial Black Finished Metal Daybed. It is under $220.00. I like the style of this bed. It’s more modern and light and airy. 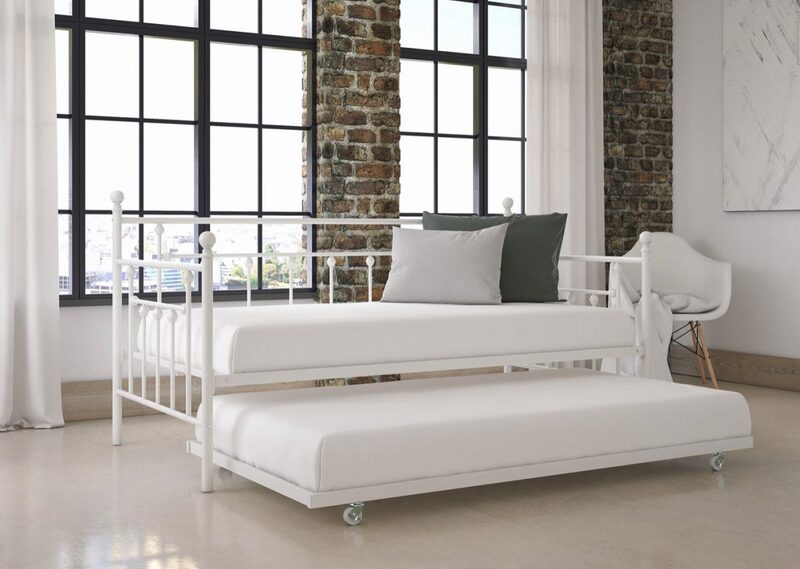 It’s called the DHP Lubin Daybed and Twin Trundle. It’s under $200.00. 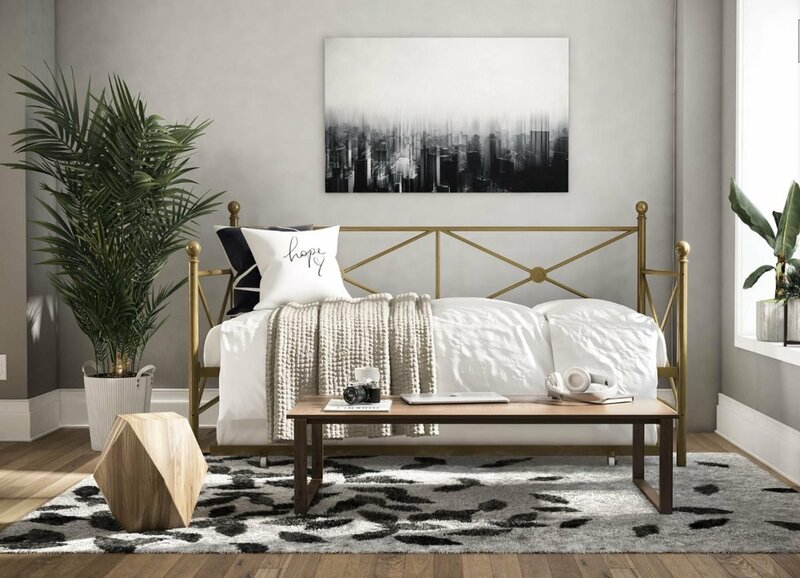 This is DHP Manila Daybed and Twin Trundle. It is a plus because it has two beds. And it is also under $200.00. 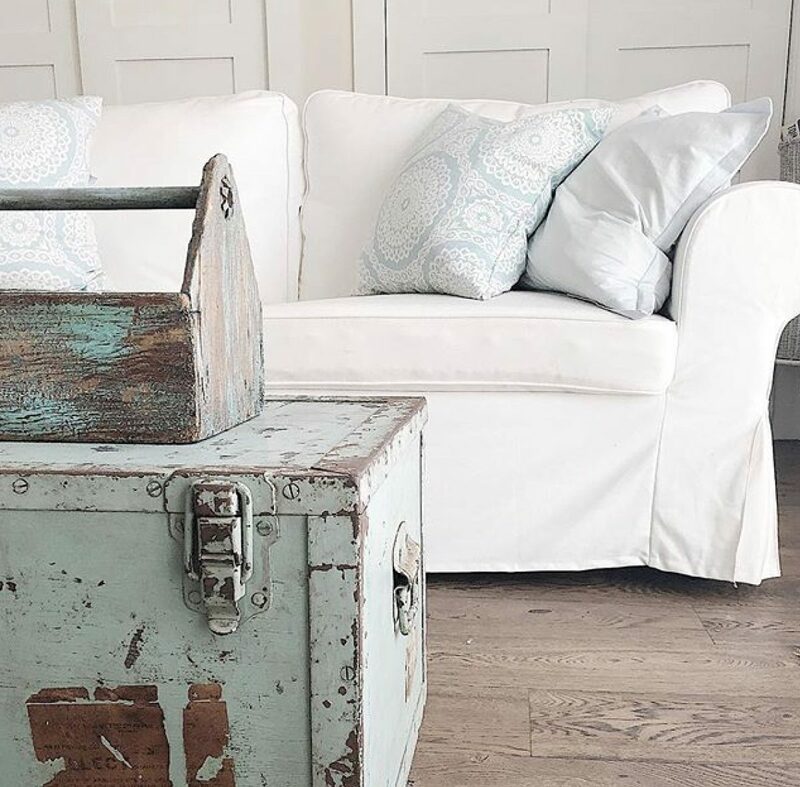 Even though I liked all of these daybeds, I found a wood one and just fell in love with it! It’s from Urban Outfitters and comes in wood and white colors. The cushion is from there too. Don’t you think this looks great? 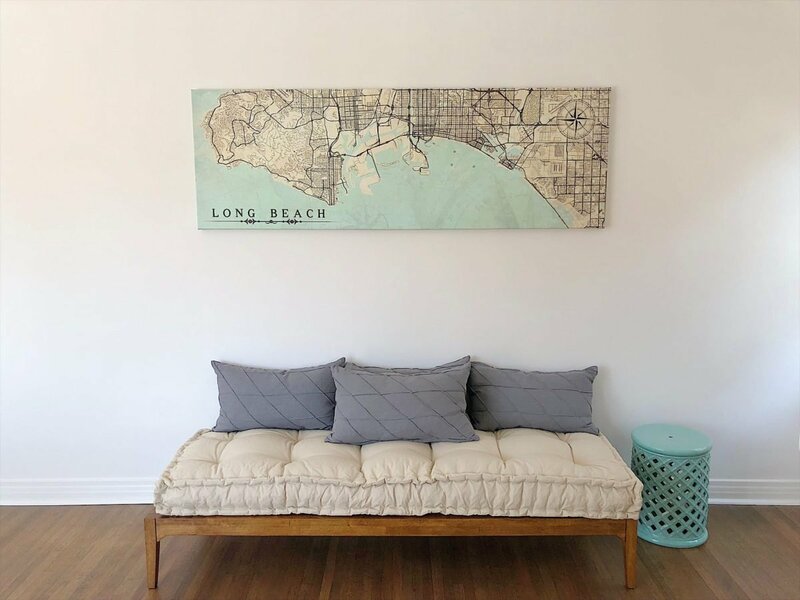 And how about that vintage Long Beach map? I found it on Etsy. The pillows are from IKEA. Wow!! Looks gorgeous!! Thank you for taking your time and sharing!